Meet main character Slay's childhood friend. Jump this week reveals a new character set to appear in Tales of Zestiria. 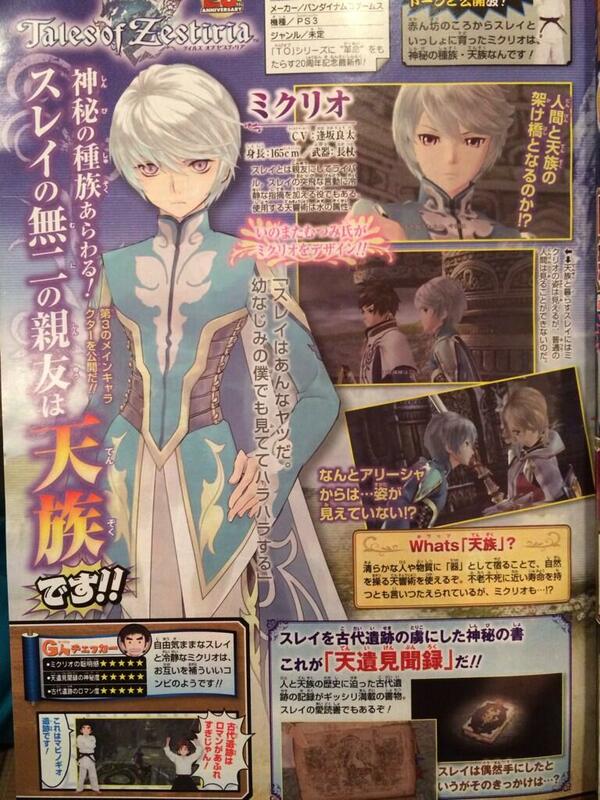 Mikleo, voiced by Osaka Ryota and designed by Mutsumi Inomata, is main character Sorey’s rival and close friend. He is 165 centimeters tall and uses a rod in battle. He’s from the Family of Heaven, and part of his role is to calmly point out Sorey’s erratic behavior. His Heaven Echo techniques take on the water attribute. The Family of Heaven are pure beings that act like a material vessel, and can naturally manipulate the sounds of heaven. They’re supposed to be almost immortal and never aging. Is Mikleo like that, too? Tales of Zestiria is in development for PlayStation 3.